How often do you want to have your period? When modern contraceptives first got formulated, back in the 1950’s the men in charge made a simple assumption that would affect millions of women over the next half century: They assumed that women wanted to bleed every month. A woman on the Pill does not actually have a monthly cycle. The bleeding during her placebo week is withdrawal, not menstruation. From a medical standpoint, it is optional. Even in the 1950’s doctors knew that. But since they also “knew” women wanted a contraceptive that felt cyclical, they never bothered to ask. More, recently researchers have asked, and they have found that less than a third of women prefer having a monthly flow. The rest would prefer to ditch or decrease their periods, assuming they could do so safely Menstrual symptoms including nausea, fainting, heavy bleeding, or cramps as intense as early labor cause American women to miss over 100 million hours of work annually. In Italy, such symptoms have been found to account for 15 percent of the gender gap in wages and promotions. In the developing world they are a factor in adolescent girls missing and dropping out of school. Evidence suggests that our hunter-gatherer ancestors ovulated far fewer times, and the modern pattern may have long-term health costs. I’ve heard that you can eliminate your period by using Pills, the Shot or a hormonal IUD. How would I decide which one? All will help to minimize or eliminate your period, so the question really is “Which method are you most comfortable with?” Long acting methods are most effective for contraception, so I like the IUD, which you can have inserted and then forget about for years. But every woman has to be comfortable with her own method. What’s this about IUD’s decreasing cramps and bleeding? I heard that IUD’s make your period worse! A copper IUD tends to increase bleeding and cramping in the early months of use. By contrast, after an adjustment period, a hormonal IUD decreases bleeding by an average of 90 percent, and in over half of women takes their periods away altogether. What about an Implant? Does it have the same effect? You can’t count on it. If your priority is to reduce or eliminate menstrual symptoms it would be best to choose a different method. If I don’t get my period, how will I know that I’m not pregnant? You need to listen to your body in other ways. Common signs include nausea, breast tenderness, aversion to smells, bloating, dizziness, and needing to pee. It’s a little known fact that many women get periods in early pregnancy. A period should be reassuring only in the absence of other symptoms. If I get rid of my problem periods for now, will I have trouble getting pregnant later? No. Your body’s hormones will return to normal, generally within a month or two, and research shows normal fertility rates after that. If I reduce my periods so I’m not wasting all of those eggs, will it prolong my fertility? No. Fertility ends when our hormones change, not when we run out of eggs. What will menstrual suppression do to my moods and headaches? That depends on the method. A hormonal IUD doesn’t suppress ovulation in most people. Many users can tell you exactly when they would be getting their periods because they have some monthly bloating, moodiness or headaches. Pills, the Ring, and the Shot, on the other hand, keep you from ovulating, so these symptoms occur less. Does taking the Pill continuously increase health risks? No. Combination birth control pills can increase the risk of blood clots, and thus are not safe for everyone. However if Pills are safe for you, taking Pills can decrease your risk of both ovarian and uterine cancer. Other benefits include decreases in anemia, benign breast masses, pelvic inflammatory disease, and acne. Say I get a hormonal IUD. What should I expect? The first few months with a hormonal IUD will be an adjustment period. You may have occasional cramping and some bleeding or spotting between periods. By the six month mark you should know how your body is doing with it. How fast will things change with Pills or the Ring? Most women using Pills or the Ring without a break won’t get a period from the first pack/ring. However, starting on any hormonal method of contraception can be accompanied by some irregular spotting or bleeding as your uterus adjusts to the new hormone levels. My gynecologist told me that I should never go more than two months without a period. Can I quit worrying about it? Unfortunately, no. If your hormones are slightly abnormal, your body can build up a uterine lining but not get the signal to slough it. When you are on hormonal birth control, however, you are not building up the uterine lining. As a result it is not necessary to get rid of it every month. I don’t want to be a guinea pig! Long acting methods have been used in Europe for over twenty years, and they have been researched since the 1960’s and 1970’s. That said, you need to decide what is right for you—to gather information, weigh the risks and benefits, talk to your provider, and listen to your body. 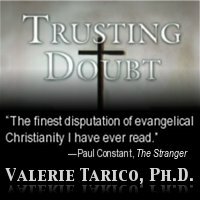 Valerie Tarico is a psychologist and freelance writer. Her articles can be found at http://www.AwayPoint.Wordpress.com. Deborah Oyer is a family planning doctor and the medical director of Aurora Medical Services in Seattle, Washington. Gallery | This entry was posted in Reproductive Health and tagged Deborah Oyer, Depo-provera, dysmennorhea, LNG-IUS, menorrhagia, menstrual suppression, MIrena, Nuvaring, problem periods. Bookmark the permalink. thank you for getting this out… I’m having an annual next week and I’m going to ask if I can go on the pill continually so as not to have a period (or as few as possible). 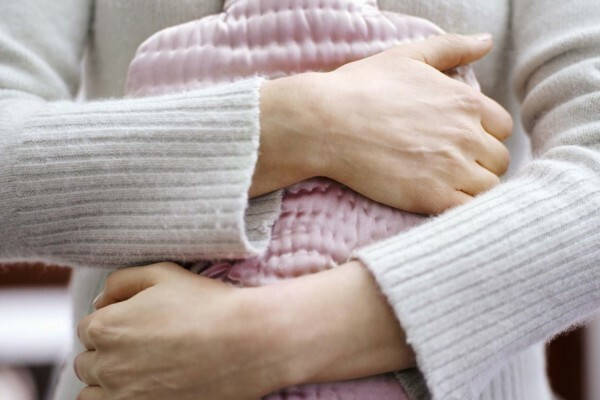 for years I’ve believed that my intense and frequent periods that cause me mental and physical anguish are actually BAD for my body, and increase my risk of breast cancer. it sounds like there is now the science to back this up…I should have done it a long time ago! I have a friend whose periods were making her severely anemic. The Mirena reduced them to almost nothing and was a total health-saver! I hope you find a method that works well for you.